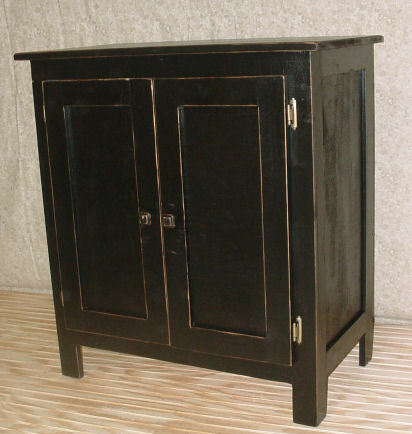 This Two Door Cabinet is just what you need to store more of your stuff, or even the canned goods. With Flat Panel sides and doors, it has the "from the country" look. We can make it what ever size you need and what ever color you like. We can make a Country Cupboard to fit every need. We can even make it a Kitchen Island and add doors on both sides. Or add drawers and... What ever your imagination comes up with, we'll make it for you.